I’ve been cultivating a slow Sunday morning habit, the core of which is avoiding email and social media for as much of the day as I can. Good news rarely comes through those channels. At best, the things I read on my phone steal a few minutes of space, from my brain. At worst, the things I read turn what could be a restful day into a blur of stress, worry, and sadness. I realize that those words have that power, mostly, because I give them that power. But sometimes, what can you really do? When my willpower is strong and my phone stays away, I am rewarded with blissful mornings, complete with feelings of connection to my husband and children. When my willpower is strong, I can let the troubles of my life and the world fall away. I can let myself just be. Yesterday, I made it to around 11am. Which means I lived in blissful ignorance longer than most. We had ventured out to a new bakery downtown. The sky was blue and the morning was warm but not yet brutally hot. Excited by a mini-adventure that promised sweet treats, my kids were in delightful moods, bouncing happily and sharing pieces of muffin and cinnamon bun with each other across the distressed wood table. We were together and happy and trying something new and on a late spring morning, what more can you ask for? So it was almost noon when I first saw news about what happened in Orlando. Except that I didn’t click. Instead, I continued along my morning, walking alongside my son’s tricycle on the way to the park and my daughter’s new two-wheeler on the way back. I sat outside and watched my kids dash in and out of the sprinkler, admiring how my little girl, who once would barely agree to get a toe wet, now runs straight for water, leaping through the fan of sprinkles. 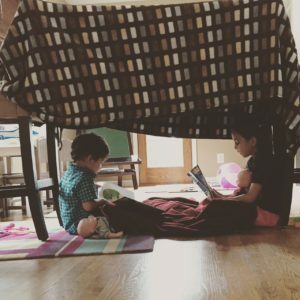 I watched my son avoid the activity altogether and admired my own ability to be ok with that this time around, now that I know how it will all likely turn out. When I finally gave in, read the headlines and the content below them, the tragedy had already been deemed the worst in our country since 9/11. My social media feeds bursted with images of condolence and hope and love and, then, anger and frustration at the hate. But I didn’t join in. I put it all aside and I woke my sleeping children and we went to their swim lesson where I dipped my toes into the icy water and cheered as my daughter swam and my son splashed. I wrapped towels around my children and changed them. We came home where I gave them baths. We ate dinner and read stories and said our prayers and I tucked them in. I went through the rest of my day and ignored yet another giant hole that had been torn in our humanity. I did not click on links to gather the additional details. I did not click to see what horrible things Donald Trump had to say. And I still haven’t. I didn’t even seek out the stories of the good that always surface in times like these. I didn’t try to catch the predictable wave of light through the darkness. I went about my small, quiet life. I closed the blinds, kissed my babies’ sleeping faces, and went to bed. I didn’t send out an image of hope or a note that my thoughts are with those torn apart in Orlando. Because, to be honest in a way that scares me, my thoughts were not in Orlando. They were as far from Orlando as I could possibly get them which, when my three people are here with me under this roof, is satisfyingly far. After all, the point of my media avoidance is to keep my thoughts here, with my children and my husband and my life in this moment. But, also, if my thoughts were truly there, then I would not have dropped my children off at school or camp this morning. I would not have let my husband out the door to catch his train. I would not find the strength within me to sit here, alone, just typing. I’ve been doing this more and more lately, this willful shrinking, deliberately closing out the bad out there in fierce protection of the very good in here. I rarely listen to the news. I give up scrolling Facebook. I stop clicking and so I stop talking and I stop engaging altogether. When given the choice to go out or stay in, I strongly prefer that we all stay in. I focus my attention on my kids. I read them stories, answer their questions, absorb their imagination and wonder. I talk with them about the world as I find myself building barriers between it and us. Lately, I am sticking my fingers in my ears and pretending the world reaches no farther than the cozy spot I’ve created for us here. I have become the fear that we are warned to keep at bay, the fear that means the enemy is winning. I am also the confusion and the disbelief. Anger turned to terror. Events that used to motivate me to think of ways to do something and inspire change now motivate me to nestle deeper into my home and my kids. It feels like giving up. I want to be the hope. And the love. Because if I can manage to be those two things, then my children will continue to grow as those things and maybe, just maybe, we can turn this thing around. I want to be the hope and the love because that is what we all need right now, it’s what I need right now. Hope and love work against the fear and the confusion and, if properly applied, might calm my nervous stomach and stop my fingers from shaking on the keys and allow me to keep dropping my kids off into their lives and letting my husband out the door to his. Hope and love might even bring me back to mine. As part of my withdraw from the world, I haven’t come here in quite a while. Every so often I type a few paragraphs that I never return to and, so, they never make it out for you to read. But today, I’m going to click ‘publish’ if for no other reason than to reach back out into the world with a little something and hope that creates within me, and you if it might, the strength to reach back out with more. To hope, love, and light. About once a day, I unroll my yoga mat. It unfurls along a narrow strip of space in my office. About a foot of it sticks out into the dining room. Normally it’s just me and the cats here and they don’t seem to mind. Depending on the day, I’ll spend anywhere from 10 to 20 minutes on that mat before rolling it up and getting back to work. I feel different when those minutes are up. I feel different on the days when those minutes don’t happen. Those differences are what keeps me coming back. Those differences mean that I’ll squeeze in the 10 minute routine, even on days when 10 minutes may as well be 10,000 because I don’t feel as though I have 10 seconds to spare. And you know what? When I put something else aside to make the 10 minutes happen, the Earth seems to keep spinning. Amazing. Those differences also remind me of some key elements to our everyday: breathing, stretching, moving for movements sake rather than to get to the next place. Even just 10 minutes of just being, focusing only on the muscles within, the ground below and the breath all around, can make a world of difference. These elements feel like things we can go without. And, technically, we can. We don’t have to focus on breath the way we need to eat or sleep or, even, get dressed in the morning. But enough days without it? You’ll start to notice. My kids, of course, breathe, stretch, and move for movements sake because these things are embedded in childhood. But I wholeheartedly believe in the benefits of yoga for children. So I was delighted to receive a complimentary review copy of Rachel’s Day in the Garden, a new yoga book for kids by Giselle Shardlow. Through a sweet, springtime exploration of the garden with her puppy, Rachel calls attention to the colors all around her and models some simple yoga poses that you can try with your children as you read. 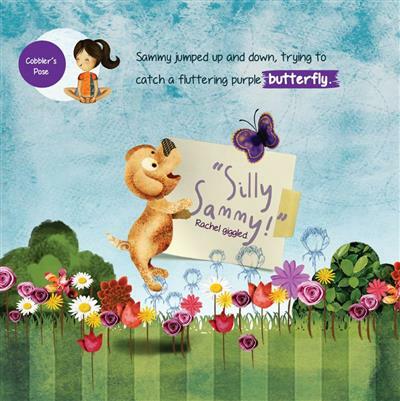 Whether pretending to be a caterpillar or squatting down to plant some pumpkin seeds, the story will engage small children who love to both read and move around. A list of yoga poses in the back of the book offers a great guide to use while reading or later when you feel like everyone just needs a moment to breathe. Some of the benefits of yoga for kids are better sleep and help relaxing, unwinding, and calming down. Pre-bedtime yoga anyone? 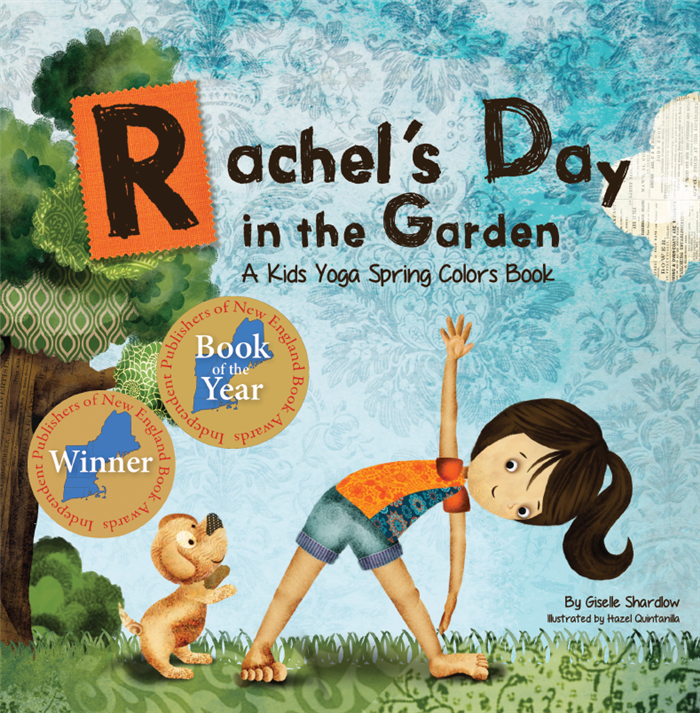 If you haven’t introduced your kids to yoga just yet, Rachel’s Day in the Garden is a great place to start. 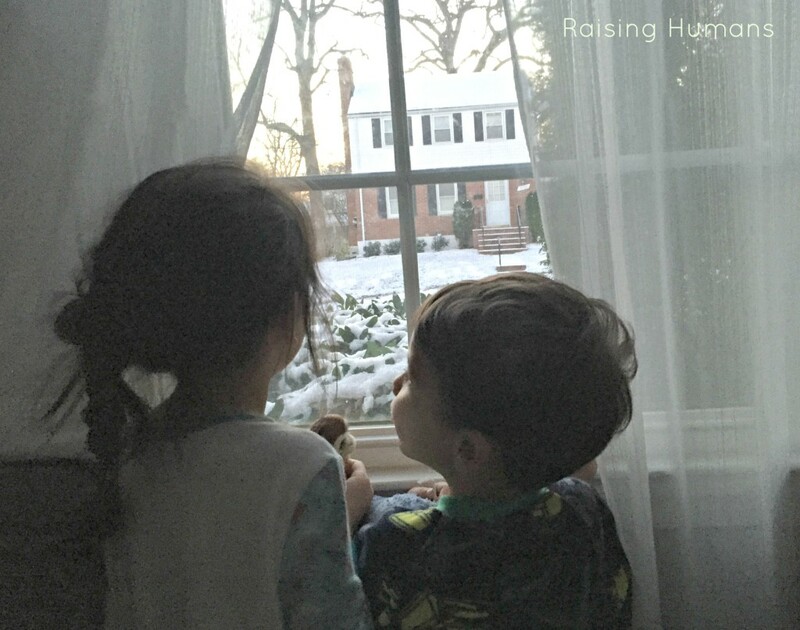 I’ve been increasingly aware, lately, that my kids are growing. 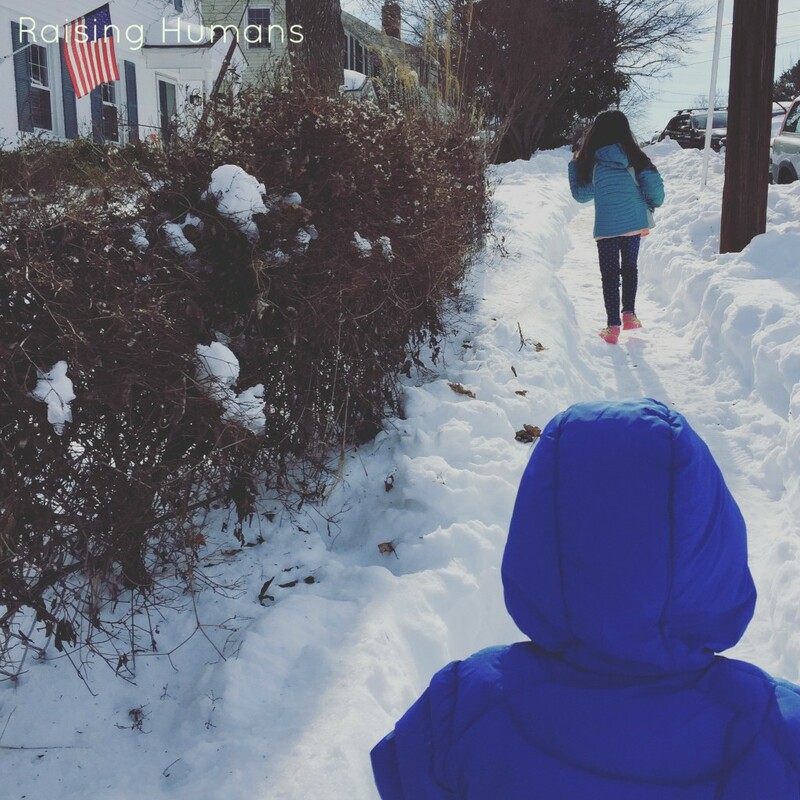 I know that sounds odd but, if you think about it, we spend a lot of time in parenthood completely unaware that our kids are, in fact, growing. We don’t catch on as they accumulate fractions of inches in height until one day they can open the pantry and reach a snack off the top shelf. We don’t catch the smoothing of their speech until the day they ask for a balloon and not a babloon and we find ourselves crying right there in the toy store. They grow right in the middle of life, just as much on our busiest days as on our quietest, and so we miss the little things until they are quite big things, or rather, big people standing in front of us. Right now her smiles reveal a giant gap, where teeth used to be, right in the center of the top of her mouth. And right now, he uses his noodle-like toddler body to run ahead of me at pickup and to jump off curbs, or, sometimes, couches but also to curl up in my lap like a roly poly. And I think it’s these two things that are grabbing me and forcing me to acknowledge the growth. That gap, that small space in her smile that screams, “I’m 6 years old!” with childhood delight has an expiration date. The big teeth that belong there will come along any day now and give her tongue something to push against, wiping away her almost imperceptible lisp that makes me feel glowy every time. And his body will continue to grow and become stronger. He’ll wiggle and curl and jump less and stride more. I look at them and I can’t help but feel that we’re in a space that is so incredibly special, if for no other reason than that once we move on, we can never come back. She’ll loose other teeth but she’ll never have that signature hole again. He’ll probably always wiggle and curl up into my arms but not in the very particular way he does today. And I struggle to not feel sad about that. I struggle to not mourn the moment right as I’m living it. Parenthood has a way of holding our hearts in the past while constantly propelling us into the future. Every time I sneak into a darkened room to whisper my love into a dream before I succumb to sleep, I can’t help but see both the baby she used to be in the way she still hugs a lovey to her cheek and the little women she is becoming in the long curves of her face and the way her feet now inch towards the bottom of the bed. Every night, it still hits me that he’s in a bed and the crib is gone and the rocker is gone too and my mind can’t help but play it forward to all of the other changes in this room that will signify his rapid journey away from babyhood. I stare at baby pictures and sob over the baby fat that has melted away and the little jumper that hasn’t fit for years and find myself mourning the past and wishing I had held on tighter, enjoyed it more. It’s easy to get caught up in the push and pull of past and future. I call it the challenge of being content. I left my house in the afternoon last week to run a few errands while the kids were in school and found myself walking to the beat of multiple tantrums from my fellow little shoppers. Hearing and seeing children when I am by myself always makes me miss my babies, no matter how loud the stranger child’s tantrum is or how badly I needed to get out by myself. And that moment was no different. I missed my kids. Not the tantrum-prone version of them (which, coincidentally, is the same version of them that I miss when I’m tearing up over baby photos). I didn’t miss them as babies. I missed them now. I missed their today-selves, the ones that rarely throw check-out lane tantrums anymore, the ones I had strapped backpacks and lunchboxes to and sent off with hugs and kisses that morning and the ones that I’d pick up with more hugs and kisses in a couple of hours. And, somehow, missing them in all of their current glory snapped things into place for me. Rather than missing the past or crying in preparation for the future, I can simply enjoy today. I can simply soak up every word that comes out of that toothless mouth and revel in every gapped smile, ignore how fleeting it is and just live it now. I can simply watch him wiggle-run down the hallway and belly laugh at his noodley dances and commit the moment to the memory of my heart. I can admit that I’m content here. Happy. I can let myself enjoy this sweet spot for exactly what it is, a soft space where we are all happy and healthy and gelling and where I can’t help but be wooed by their childhood. 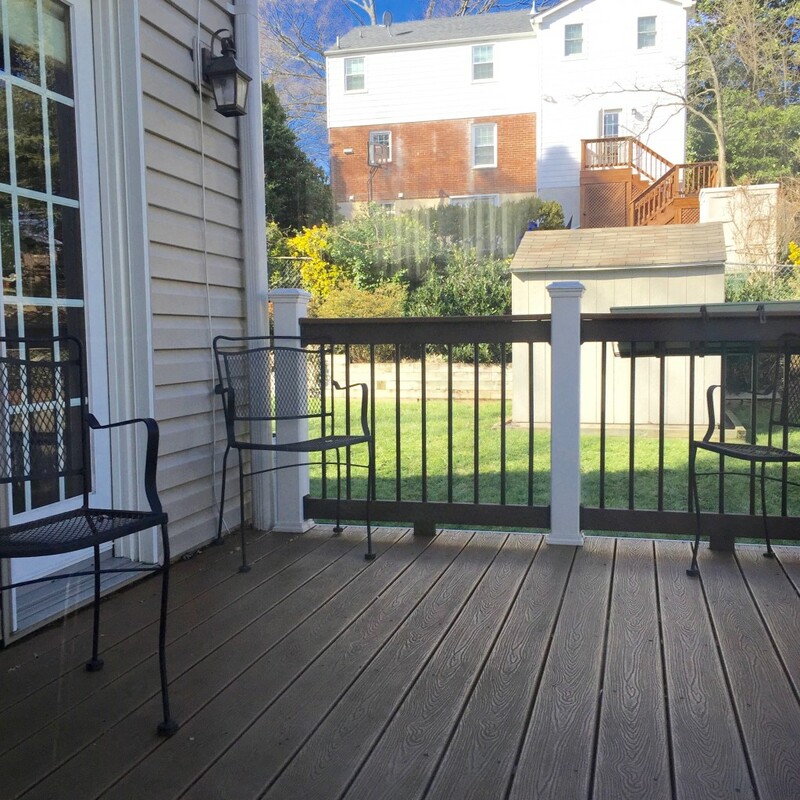 I can own this space as a special nook in our lives and stop, for a little while, obsessing over how things used to be or, even worse, that things will not always be as they are today. I can just be content. “It’s time to get up now.” he says, giving me a gentle nudge. It’s the third, maybe fourth time he’s woken me this morning. It’s also the same thing every day, as if I’m five or maybe fifteen. Not, as of yesterday, thirty-five. In between the first nudge and this one, I’ve kept my eyes closed but tip toed into the day, thinking about what it holds. The ups and downs, treats to look forward to and things I don’t really want to do wash over me in this moment every morning. Some days it’s dreadful. Others, though, like today, it’s not bad at all. “Aren’t you forgetting something?” I ask in morning mumble. Without so much as a beat, he wishes me “Happy Birthday” with a kiss. And then I get out of bed. There have been times when this small morning moment would have become a much bigger thing. There have been times when I wouldn’t remind him but, rather, would spend my entire shower feeling sorry for myself and angry at him for a blip that is never “I forgot your birthday” but is always a groggy, bleary-eyed “It’s really damn early.” There have been times when I didn’t see it that way at all. Oh there have been times. But thirty-five is grace. Thirty-five is remembering that the blips don’t have to get me down or bring us down. Thirty-five is shamelessly talking about my birthday, asking for and orchestrating what I want, and being completely ok with that. Because why the hell not? Thirty-five is gutsy. And I like it. This is my fifth year celebrating my birthday in this increasingly small space. And I like that too. I like that I have a history. Little data points from the moment between years tell a story. I can look back and compare who I was then with who I am now and who I’m becoming. Embarrassing as it was, I went back and read 31 through 34 today just for the journey of it. In these four years, I’ve grown quite a bit as a person and a writer, if I do say so myself. I also like that I’m sharing all of this with an increasingly small number of you, too. Growth isn’t always about getting bigger. Sometimes it really is about focus and intention and sometimes that means getting a little smaller. If you’re reading this, you’ve been part of the journey and I know who you are. Thirty-five is knowing who my people are, without a doubt, and feeling the warmth that comes from spending my time and energy and love with those people. 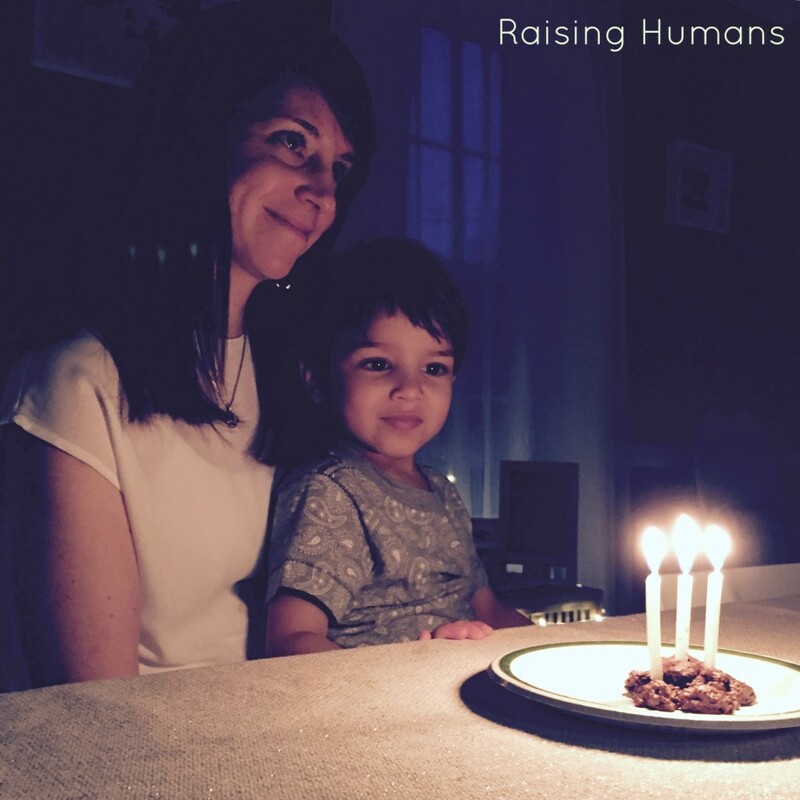 Thirty-five is a new phase of motherhood. It’s spending my birthday in a quiet house and mostly alone because my babies are no longer babies but kids with school and ballet classes and blossoming little lives. It’s not believing this could be possible but it most definitely is falling in love with my children harder and harder each day as they grow more and more into the people they’re becoming. It’s finding my stride with their hands in mine rather than with their bodies on my hip. It’s finding my groove and knowing much better who I am as a mother. And loving it. And it’s knowing, much better, who I am as a person, a wife, a friend. And accepting that. And realizing that when I accept who I am, the people in my life begin to know me better too. And that makes the risk of seeing and showing myself, flaws and all, so very worth it. Thirty-five is making more coffee in the morning because I love the feel of the mug in my hands, the steam as it rises, relishing two first sips that come hours apart and making morning last for as long as I can. It’s coffee for the feeling more than for the caffeine. Thirty-five is appreciating that our kitchen is literally in the heart of our house because the kitchen is home. It’s baking because I want to, sometimes with the kids but, more and more often, without them. And it’s cooking, with menu plans and new recipes and experiments all the time, because nourishing myself and my family is important to me now in ways it wasn’t before. Thirty-five is taking care of my body and my soul, unrolling my yoga mat almost every day and intentionally breathing deeply because I know it helps. It’s doing things like eating well an exercising and getting enough sleep not because I necessarily love those acts themselves but because of how good I know I’ll feel afterwards. Thirty-five feels grown up. Thirty-five is finally learning that adding a little bit of product turns my hair into a part of me I love, despite the growing number of grey strands. That a quick swipe of nail polish changes the way I look at myself in a good way. That wearing clothes that make me feel good is half the battle. Thirty-five is more honest. Less afraid. Less focused on pleasing people and more focused on knowing people. It’s realizing that you can’t do both well at the same time and, since I have to choose, I’d much rather know you than please you. Thirty-five is throwing myself a little birthday party because thirty-five is about the people in my life who make this life beautiful. It’s opening my home because I love the balance between the quiet and the loud and I’ve finally accepted that I need both to feel whole. Thirty-five is content, with both where I’m standing today and the road I’m on. Realizing that saying “I wouldn’t change a thing about my life.” and “I want so much more.” in the same breath is not insane. It’s a sign of a good life. Thank you for being my people and celebrating in this space with me again. I smile the smile of a mother who believes she knows better. It can’t actually be snowing. We’ve still got almost 48 hours before the big storm moves into the close up view on the radar. “Snowing? You sure, bud?” I make my way to him, picking up a matchbox car on the way. “Yeah! Look!” a dimpled hand with chubby little fingers directs me to the window. I look outside, half expecting to see a leaf floating gracefully to the ground or a bit of wind dancing in the trees. But he’s right. It is, in fact, no-ing. And sticking. And accumulating. And fast. Bedtime is a blur. Shuffling kids from room to room, anxiously checking my phone in between pouring the soap and towel-drying little heads. Traffic is snarled. Roads are slick. Plane has landed. Husband is stuck in a cab miles from home. Cars slide down our street, narrowly missing ours parked on the hill, as I watch out the window, waiting for him to arrive. I track his movement (yes, I have GPS tracking on him) and when I see he is on our street, I open the door and stand there in my sweatshirt and pajama pants, shivering until he walks into view. “Ayers” I text to him. And then I shove little arms through coat sleeves and feet into shoes as we dash out the door. The hardware store down the road has just gotten a shipment of rock salt and shovels and we need both. By the time we arrive, the line winds through aisle after aisle before stretching out the back door. Silly people who dropped in for an extra puzzle to pass the time abandon purchases on their way out while the rest of us, woefully unprepared, shake our heads at our own silliness. I have 40 minutes until my next conference call starts and I’m worried that I won’t make it. Sister carries the shovel as I balance two containers of salt and shuffle the toddler through the store. The woman in front of us scratches six sleds across the tile. “Hi.” she smiles to us. “Hi.” I smile back. She’s already hit up the man in front of her and I know what’s coming. She knows I know. “No problem.” I keep smiling. Because this is it, right? In a state of emergency you help your fellow mama, even with the non-essentials. She thanks me profusely and somehow I get two sleds, two kids, two containers of rock salt and a shovel to the cashier. Then I turn over the sleds and wish her luck. If she truly needs six sleds, she’s going to need it. I’m determined to bake every cookie and make every dessert before we loose power, which I’m fairly convinced that we will. So I’m toasting coconut and melting chocolate and chilling toffee. One neighbor is hosting dinner tonight in the midst of this blizzard and the other is cooking it and I want to bring the sweets. So between excursions to the mountain of snow at the foot of our driveway, I arrange flour and sugar on our counter tops. While the coconut cools, I check on the chocolate that I’m foolishly melting in a plastic bowl over a pot of boiling water. “Help! I need help!” I shout. M comes to my side and looks at my mess. “You don’t need help.” he says, “This is done.” he turns off the burner. He rinses the lost cause of chocolate down the drain and carries the pot, with the bowl I have melded on top, to the trashcan that he has just dug out. The snow is still coming down and each inch on the ground makes me giddy. It’s a feeling I’m not entirely used to. This winter scene usually turns me into a sloth, looking for a way to sleep my way until spring. But today I want to bake and make. I want to shovel and catch flakes on my tongue. This is an event. The result of three families stocking up is spread across the counter, raising steam over the oven, or waiting on plates until it’s time for dessert. There’s guacamole and hummus and vegetables and a big hunk of cheese. There’s chili and chicken and risotto. There’s cookies and toffee. And, of course, wine. The flavors and combinations would probably never meet up on a properly planned dinner party menu but oh my goodness do they work so well somehow. It’s warm and cozy and the whole place glows, as it does when we gather there. And for three hours, we forget about how the storm is still not even close to over. 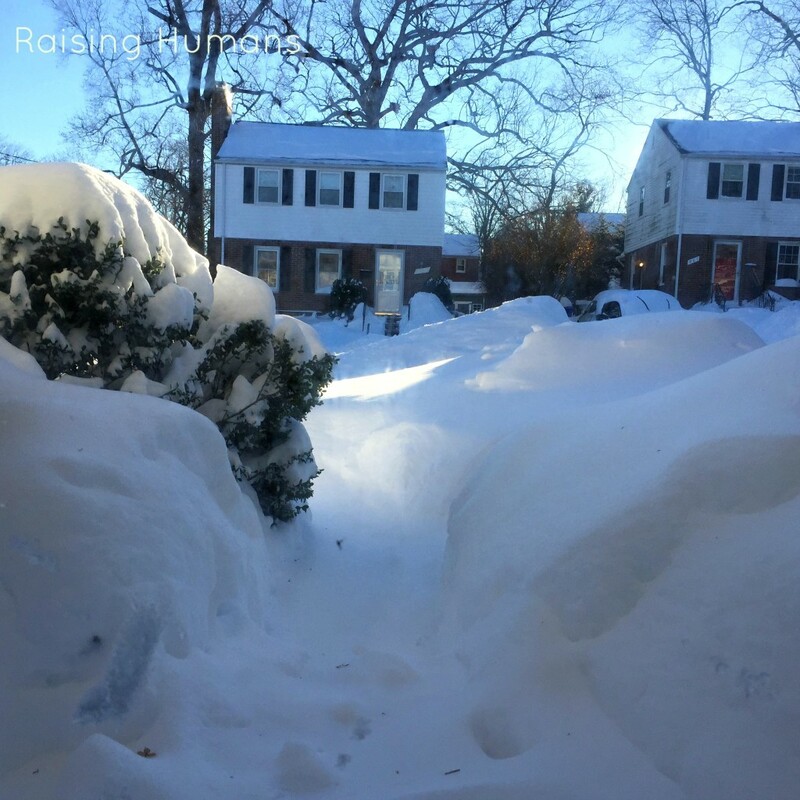 We nurse our aching shoveling muscles and we talk about things other than the mess that nature creates outside. This is most definitely the best way to blizzard. The sky is always brightest right after the storm. The snow glitters as if mother nature saw fit to display just how brilliant she is and what beauty she’s created. It’s cold but warming. In houses up and down our street, gloves and mittens and snow pants are pulled up over pajamas. Sleds are dragged out of basements or attics. The street becomes a sledding hill. 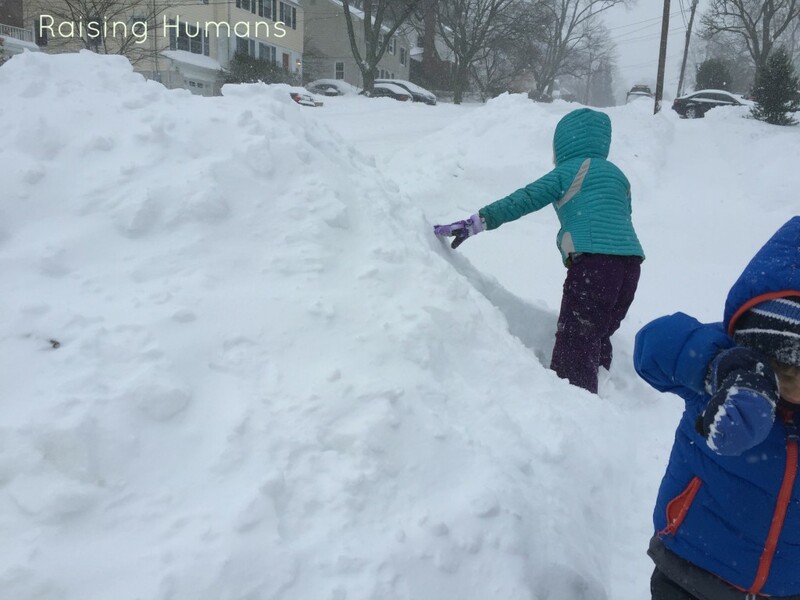 Kids climb up enormous white craggy mountains and throw snow as adults dig out. A snow-fort pops up enough rooms for every kid on the street. The kids work hard at it while adults stand in the street and chat lightly about the experience. We didn’t loose power! We made it through just fine! The sun is shining and it is warm and we’re still in the blizzard bubble. Snow day 6. Then 7. Then 8. 9 becomes official as I stand outside her ballet class, waiting for the teacher to arrive. 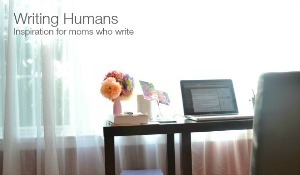 The eyes of my fellow mothers that were soft and glowy just days ago stare around wild and frantic. We talk in high pitches, voices dripping with exasperation. We love our children. We want to spend time with them. But nobody thrives with this kind of routine-less madness. Nobody thrives with this kind of forced, long-term togetherness. After more than a week, the snow has lost its sparkle and the crafts have all been used up and there is paint on the floor, we just know it, but we haven’t screwed up the courage to look. 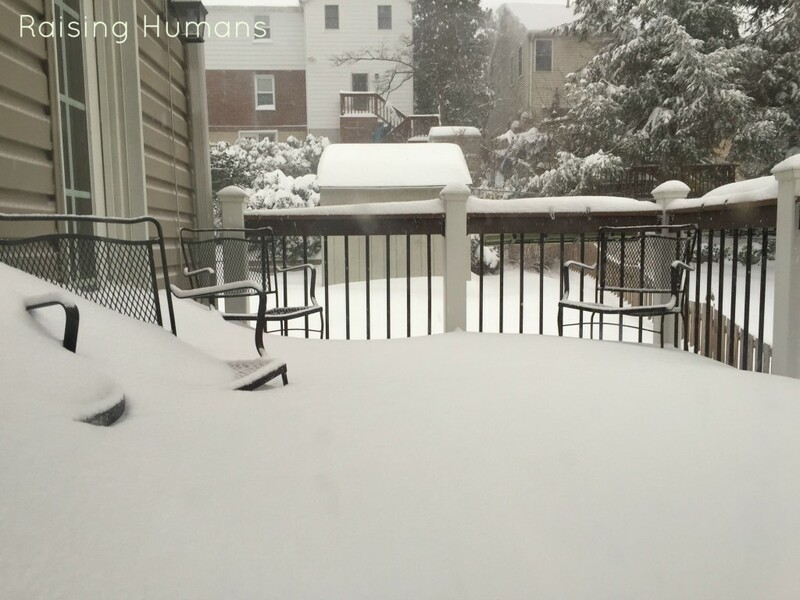 We take bets on how long the snow will stick around. Some say March. I’m going with May. There is just so much. Mountains we built with our own two hands have been compacted by plows and frozen in place during the night. They have that look about them that says they’ll be sticking around. We walk to school, when it finally starts up again, in a circuitous route to avoid scaling frozen mountains on our way. I get excited when I see grass. It sticks out wildly out at the edge of a yard or peeks up in the spots where the sun rests the most. I get so excited that the kids play along. “Mommy! Grass!” they squeal whenever they spot so much as a blade and I squeal back. And then the rain comes. It rains all through the day and over an entire night and when we wake up, I can see my backyard again. The grass, the plants, the branches of bushes that might just make it after all. The mountains still remain (and I still think they’ll stick around) but everywhere there is grass. And with that, I call it. The blizzard is over. For now.